Wash and chop the carrots into small roundels. Grind all the ingredients given under “ To grind” to a smooth paste adding enough water.Set aside. 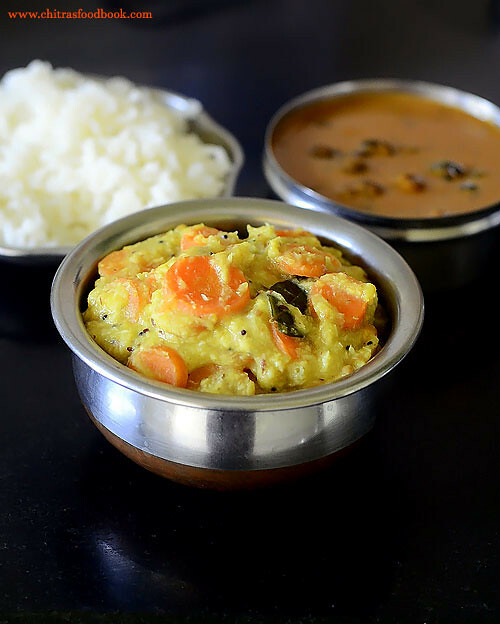 Heat coconut oil in a cooker, splutter mustard seeds, urad dal, curry leaves.Add the sliced carrot, moong dal and turmeric powder . Mix well. Lastly add 1 cup of water and pressure cook for one or two whistle in low flame. 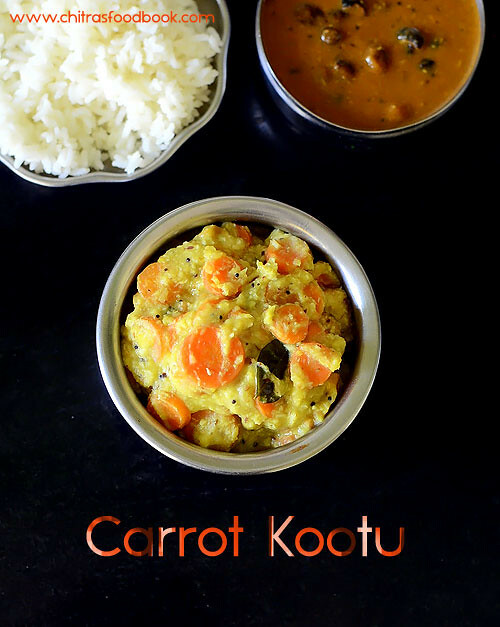 After the steam is released,open the cooker and add the ground coconut paste.Mix well and boil for few minutes till kootu thickens as u like. 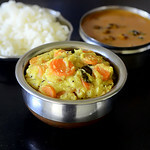 Remove from the flame, mix well and serve with rice and kuzhambu. 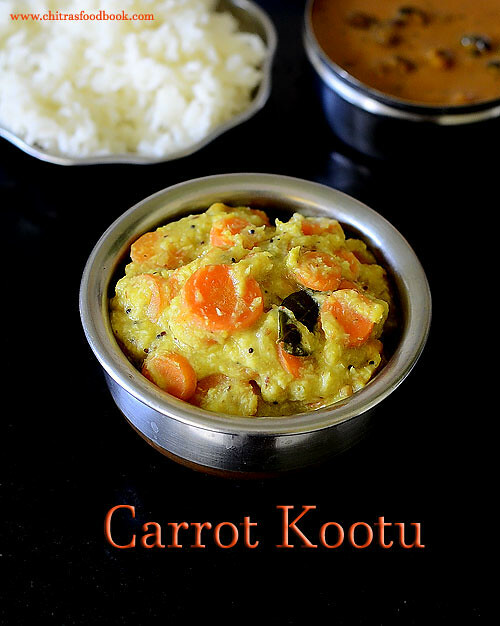 Try this easy, kids favorite carrot kootu for rice and enjoy ! !